Nintendo just held their Nintendo Direct conferences for Japan, North America, and Europe. They announced a new 3DS model, the 3DS XL, and you may be wondering, "Coffee, I already own one of the original 3DS systems. What should I do?" Well, if you perhaps really, really, REALLY want the new 3DS XL system, you have a few options. Option 1: Keep your old 3DS model, AND buy the new XL model. Not a bad option to have the older 3DS system around for when the inevitable day comes (maybe in another 20 years) that the new 3DS XL system stops working. Or, perhaps when its larger screen will crack, or you drop it because its larger size in general. In any case, you will be prepared with the original 3DS model in standby. 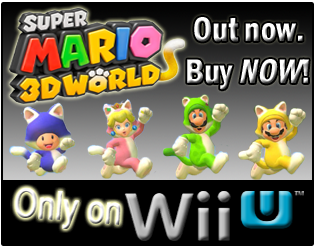 Option 2: Sell your original 3DS model yourself, perhaps on sites like Ebay, Craigslist, or even Amazon.com. Just make sure the site and your method of selling it on your own is safe. 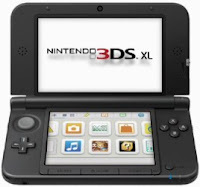 Option 3: Trade-in your old 3DS model, and use the trade-in credit to purchase the new 3DS XL model. The key is how much can you currently get for the original 3DS model though, and how much trouble do you want to go through. 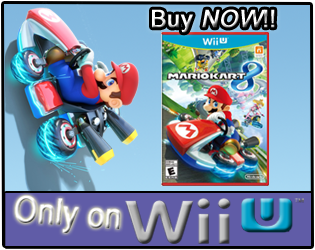 Brew some coffee, and take a look at the current trade-in values for the original 3DS system! Upon checking Amazon.com's "used" 3DS selection, it appears used 3DS systems are selling for around $125 right now. I don't know what percentage Amazon gets of that, but getting over $100 for the original system seems like a pretty good deal. What about the easiest, and most likely way, that most 3DS owners would get rid of the original system though? What is the original 3DS system's current trade-in value? Let's take a look at the internet's largest online retailer's, Amazon.com, trade-in value, and let's take a look at what Game Stop is currently offering for the 3DS' trade-in credit. So, as the image above shows you, Amazon.com offers different 3DS trade-in values, depending not just on the condition of the system, but also on the color of the 3DS. The Aqua Blue 3DS system currently has the highest trade-in value for average, or "Good", condition, being $85.00. The Cosmo Black and Flame Red systems will both net you a $74.00 Amazon.com credit. Game Stop is offering $55 as trade-in credit for the original 3DS systems, according to my local store today, but that's not all! Game Stop is currently running a special trade-in offer, a 25% hardware trade bonus on 3DS systems until July 15th. With the extra 25% trade bonus, Game Stop's trade-in credit goes from $55 up to $68.75 on original 3DS systems. Make sure to check with your local Game Stop though, to make sure the trade-in credit doesn't drastically change before July 15th. If you own the original 3DS system, does the new 3DS XL system have you interested, angry, or indifferent? If you are interested in the new 3DS XL, and own the original 3DS, do you think you will keep the original system and purchase the XL, or will you trade-in the original 3DS to help pay for the newer model? OUTRAGE!!! Blerg! Nah, more or less indifferent since it's the same hardware design just bigger. I finally looked at the Nintendo Direct video from last night to catch up. 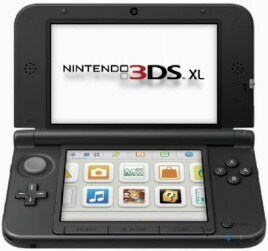 I bet a XL 3DS would be nice to use, just not nice enough to spend $199 even with some kind of trade-in value to offset. Though I do like what looks like a matte finish and the start/select/home buttons on the bottom look more durable. I'd like to see 3DS games on a larger screen, but have doubts about VC/DS games. Some already look iffy as-is and stretching them out further is only going to make it worse. "OUTRAGE!!! Blerg! Nah, more or less indifferent since it's the same hardware design just bigger." So, you own a 3DS and are indifferent, and won't rush out for it because of the price (and perhaps lack of new features), and I won't rush out for it because of the lack of one big feature...who is the target audience here? As for, "...start/select/home buttons on the bottom look more durable." Yea, I noticed the "new" buttons in the first image last night when watching, but kept rubbing my computer monitor on the empty spaces on the 3DS system, thinking perhaps our oldest Bean had painted over my monitor, keeping me from seeing a 2nd Circle Pad. It must be nice to work at Nintendo's hardware development team. I KNOW! Let's make it bigger! Just add more screens, keep the same .03 pixel cameras (see cellphones from 2003? ), same resolution...just make it BIGGER! PEOPLE WILL LOVE IT! We are NINTENDO!" I agree, I just don't understand it either. Still trying to figure out who this benefits or what market they're going for. If I were to buy a new one the XL would certainly be considered, but not at the moment. My cool grip makes it easier to hold anyway.